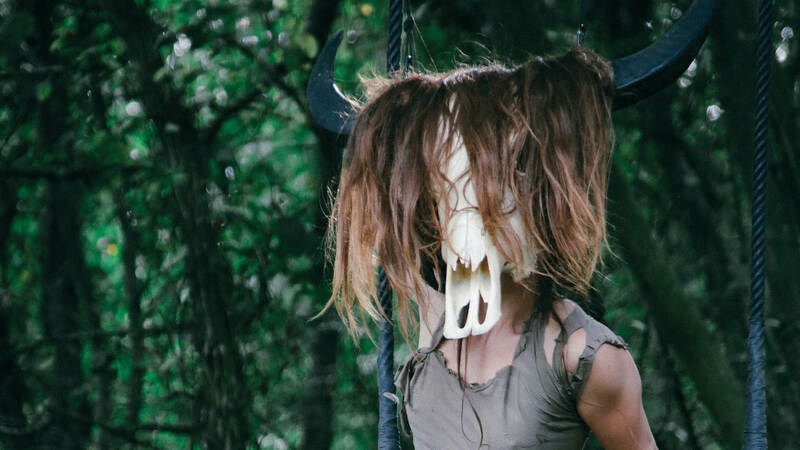 'Dreams of the Small Gods' is a circus-theatre show by Zinnia Oberski. Inspired by pagan mythology and tribal art, it explores the relationship between humans, animals and gods, questioning what is sacred and what is profane. Blending circus, masked performance and physical theatre, 'Dreams of the Small Gods' invokes stunning images that contribute to an otherworldly, ritualistic atmosphere.